On April 29, Kobi Ozer of Holon, Israel was working in his office when he received an alert on his smartphone from an unlikely source – his vacuum cleaner. When Ozer opened his LG SmartThinQ™ app, he realized that his HOM-BOT robot vacuum cleaner had sent him images of an intruder in his home. Ozer’s HOM-BOT included a Home-Guard feature which had detecting unusual movement when no one was supposed to be home, triggering the camera. LG HOM-BOT Wi-Fi is robot vacuum cleaner featuring remote control and motion detection that works along with SmartThinQ. 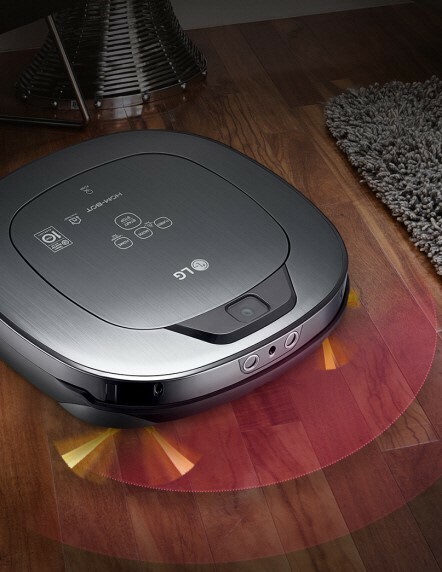 With the intelligence of LG’s DeepThinQ™ AI platform, the robot vacuum uses its smart sensors to avoid colliding with furniture and “sees” the home with its camera to ensure that it covers every nook and cranny so no dust or crumb gets left behind. Home-View and Home-Guard are home security features built into the HOM-BOT to monitor and provide alerts in the event of a break-in or intrusion. Home-View allows homeowners to utilize the camera in the robot vacuum to view the interior of their homes remotely through their smartphones. Home-Guard complements Home-View by constantly monitoring movement in the home via its sensors and sending a series of five images to the SmartThinQ app when it detects unusual activity. Home security is growing in importance among consumers and a major reason homeowners are interested making their homes smarter. While LG HOM-BOT may only be a vacuum cleaner, it’s smart enough to know when something is wrong. Once alerted, Ozer called the police and his neighbor. 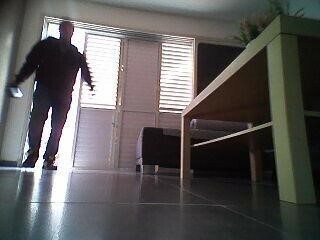 The burglar likely fled after the HOM-BOT flashed its lights. 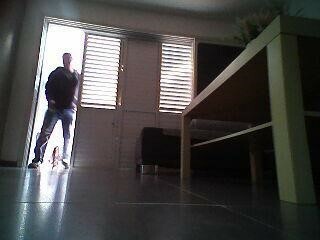 Fortunately, nothing at home was missing or damaged thanks to his vacuum cleaner.